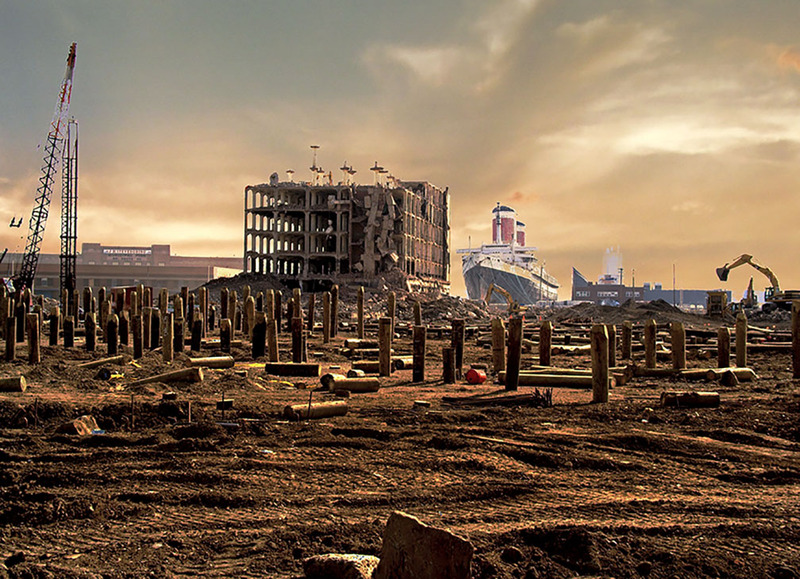 T. A. Hayes, photograph of site of future IKEA store on the riverfront in south Philadelphia, 2004. Courtesy of the artist. Architecture Among Other Things gathers thirty essays, reviews, and occasional writings by Joan Ockman produced over the course of thirty years as an architectural critic, historian, and educator. Ranging over many topics—from Walter Benjamin to American Brutalism, Jacques Tati to Manfredo Tafuri, Oppositions journal to inflatable architecture—the author reflects on the relevance of architectural history and the problems of writing it, on architecture’s adjacency to other things, and on the need for architectural criticism today more than ever. Many essays have never appeared before; others exist only in out-of-print or non-English-language publications. Joan Ockman is distinguished senior lecturer at the University of Pennsylvania's School of Design and also teaches at the Cooper Union and Cornell. She directed the Temple Hoyne Buell Center for the Study of American Architecture from 1994 to 2008, and taught at Columbia University's architecture school for two decades. Her recent book publications are Architecture School: Three Centuries of Educating Architects in North America (MIT Press, 2012) and MAS: The Modern Architectural Symposia, 1962–1966 (Temple Hoyne Buell Center for the Study of American Architecture, 2014). Other edited volumes include the award-winning Architecture Culture 1943–1968 (Rizzoli, 1993), The Pragmatist Imagination: Thinking about Things in the Making (Princeton Architectural Press, 2000), Out of Ground Zero: Case Studies in Urban Reinvention (Prestel Publishing, 2002), and Architourism: Authentic, Escapist, Exotic, Spectacular (Prestel, 2005). She began her career at the Institute for Architecture and Urban Studies in New York, where she was an editor of Oppositions journal and Oppositions Books. In 2017 she was named a fellow of the Society of Architectural Historians.